There are 17 reviews of Fan di Fendi pour Homme. Citrus, cardamom opening with some spice. Smells refined. Straddles the line of modern and mature. I do like the smell for cold days where I spend some time outside because it feels a bit heavy in the beginning but the longevity is only good for 3-4 hours on me. What a pleasant surprise after the over rated Life Essence. This one has a fresh ish spicy opening and settles into Cardamon, woody with a hint of pepper (but only a hint so it does not get up your nose) middle and stays there. It is nice enough with some depth, but nothing to write home about. It is a non committal scent. You'd probably wear it where you want to be polite just so without the wish to get particularly close such as meeting an ex or going out with some of your wives less interesting friends or mother-in-law. As such its not for me as I would never let my standards drop so if I want not to be totally irresistible I would not wear anything at all. You can see from my ratings that this fragrance just misses the mark. Shame. How can people claim Dior Sauvage is great when this is so much better? I am so happy I found a bottle since it has been discontinued for a while. I got it as a sample for buying fragrances at a store and loved it (they didn't have it for sale yet they gave samples of it, yeah go figure). It is so good, Fendi should get more praise from people. Only had this for a few hours and I am really loving this! Great quality, beautifully blended and develops so well! I was expecting this to be much sweeter with the comparison to Spicebomb. On me there is only a slight resemblance to this but it does have sweetness, not OTT cloying sweetness, it starts to reveal itself as the fragrance develops. I think this is discontinued because the general market wouldn't really get it but fragrance overs will usually give a new fragrance time and not make snap judgements. Give it a try before it disappears! I've bought 3 of the 'Giant Edition's' as I don't want to run out of it! An absolute clone of Spicebomb. Not a bad thing really. The notes just seem reversed to me. Getting compliments on this one already, so I'm scooping up what I can. 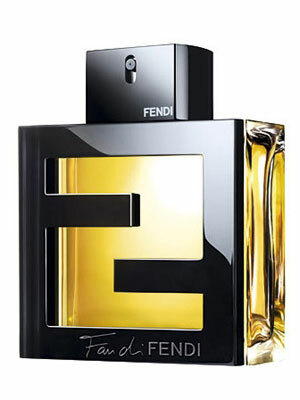 Most Fendi fragrances have been discontinued since they have been bought out. There are no member images of Fan di Fendi pour Homme yet. Why not be the first?